Home artwork blog blog site blogger TV series TV series craze TV SEries Craze logo design My New Artwork Design for TV Series Craze! 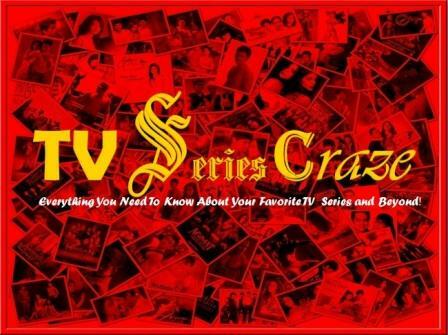 After more than two years, I created a new artwork design for the official logo poster of my phenomenal hit entertainment blog site TV Series Craze. Yeah, my favorite color which is red dominates the artwork! As you can see, a collage of different hit TV series then and now comprises the background of my design. And still yellow is the color of the TV Series Craze lettering of four different fonts. And since TV Series Craze now gives a total entertainment everyone is looking for, the site is now describe as "Everything You Need to Know About Your Favorite TV Series and Beyond!" The word "Beyond" was added to its description. The combination of red and yellow in my very own new design somewhat denotes a Chinese picture! Well, still related to me since I'm 25% Chinese. Does my new artwork reminded you of "Mano Po" or "Mula Sa Puso?!" What more can you say about my new artwork for TV Series Craze?! Do you like it or do you still prefer the previous?! Feel free to express your thoughts and opinions.